Average age of Drug Abuser in Bangalore city has dropped to 13 this year from 16, which was recorded last year. We can't always blame the lifestyle change, BPO employees. So who are these guys who entering to the drug world? It's the school children of today who are experimenting with drugs. Students who are barely older than 12, is a drug addict in the city. So what do they try? 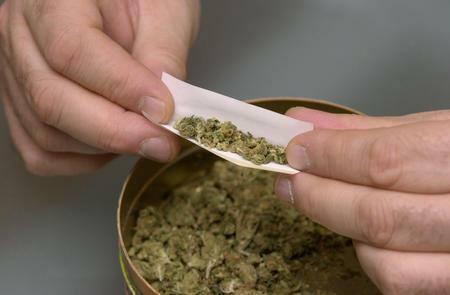 Marijuana, which is cheap and easily available to these school children. The study by the rehabilitation center confirms that children who are burdened at school or who are under stress take this route as an easy escape and finally end up in dropping out of school and college. "On an average, each month we get at least 20 parents seeking help for their school going kids who are addicted to various narcotics," said G Shaila, a psychologist from a Drug rehabilitation centre in Bangalore. This is a wake up call for all of us! We need to stop this pandemic. Cure For AIDS In Sight! Fardeen to be tried for buying cocaine! What Did They Look Like in School? Afghani Women On A Drug Rampage? Aarakshan Stars Back To School!